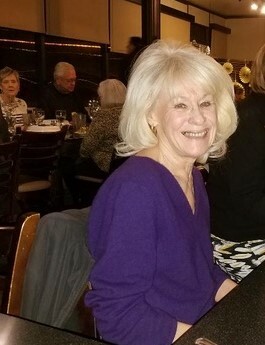 The Friends of the Atascocita Library(FOAL) has lost a dedicated board member who volunteered tirelessly for the betterment of the Atascocita Library and the community. Donna moved from California to Atascocita about 10 years ago, when she retired after a distinguished career as Western Division Administrative Manager for Perennial Sales Company, a Division of Seagram’s. She began volunteering at the Atascocita Library as a shelf reader, helping keep the library’s shelved book collection in order. Then Donna joined FOAL as the recording secretary and volunteer hours recorder, where she not only kept the minutes of the monthly meetings in a concise manner, but kept an up to date record of all FOAL volunteer hours, including comparison statistics for previous years. 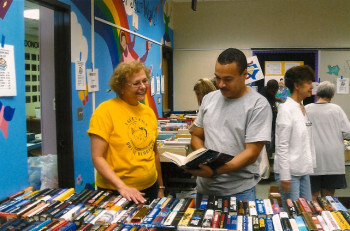 Donna was always available to help with used book sales, volunteering many hours setting up, working during the sales, and packing up. Library patron counts were also included in her volunteer duties, meticulously recording patron library usage. Donna was also a dedicated volunteer with the Airport Ambassadors at Houston Intercontinental Airport, where she was named volunteer of the year. She helped as many as 500 travelers a day, to find their way around the busy airport. Donna was a proud mother of two sons and grandmother to three grandchildren. FOAL Annual Book Sale August 18! The Friends of the Atascocita Library(FOAL) will hold a used book sale Saturday, August 18, from 10AM – 5PM at the Atascocita Library, 19520 Pinehurst Trail Dr. Individuals with disabilities may shop from 9AM -10AM. Preview sale for FOAL members is Friday evening from 5PM-7PM, with memberships available at the door. There is a large selection including teaching materials, children’s, fiction and nonfiction, hard backs and paperbacks, 25¢ music CD’s, 25¢ magazines, and much more. Most are priced at $.50 – $1.00. FOAL reusable book bags are available for $3. Donations of used books & magazines are welcome anytime during regular library hours. No wheeled carts or strollers due to space limitations. Visit www.hcpl.net for library hours or email contact@foal.ws. All proceeds benefit the Atascocita Branch Library. Comments Off on FOAL Annual Book Sale August 18! Find a deal and support FOAL! Comments Off on Find a deal and support FOAL! Your shopping matters. This Father’s Day, shop for Dad at smile.amazon.com/ch/76-0356813 and Amazon donates to Friends of the Atascocita Library.